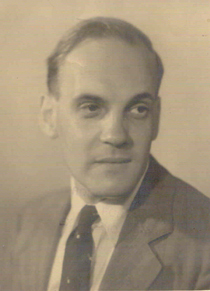 William Busch was born of German-naturalised parents in London in 1901. His early musical life focussed on the piano, with which he first made his name as a musician and earned his living as a young man. His natural inclination, however, was always towards composition and through his friendship with Alan Bush and then study with John Ireland and Bernard van Dieren, Busch developed his skills, The Two Pieces for Wind Instruments was his first composition to be performed, in 1927. As the 1930’s progressed, just as his mind turned more and more to composition so he curtailed his career as a pianist. In the mid 1930’s he made the first of his important contributions to the canon of British song, wrote (unsurprisingly) several piano pieces and in 1937 completed his breakthrough work, the Piano Concerto. The composition of the concerto had been a self-critical struggle but its premiere was a success, gathering much praise from the likes of Finzi and Vaughn Williams. It was from this time onwards, despite evacuation to Devon at the onset of the Second World War and the frustrations at being distanced from the centre of musical life in London, that Busch composed the bulk of his small output. He was also newly married to Sheila, with whom he was later to have two children, Nicholas and Julia. William Busch’s life was cruelly cut short in 1945 when he was at the height of his creative powers. Whilst most of his output consisted of songs, piano and chamber music (including the masterful Piano Quartet), he also completed the Cello Concerto in 1941 and at the time of his death a violin concerto was left incomplete. Busch’s voice was definitely English, lyrical but with an economy of material and a certain toughness that set him apart from most other English composers of his generation and perhaps can be seen to stem from his German heritage.